Deming’s 14 Points in Small Manufacturing – Part 2: Inspection and Process Improvement - Ledge Inc.
Our previous post regarding the first two of W. Edwards Deming’s famous 14 points of Management and Quality was directed at management maintaining a consistency of purpose, continual improvement and remaining competitive in both the market and with your employees in the new economic age. 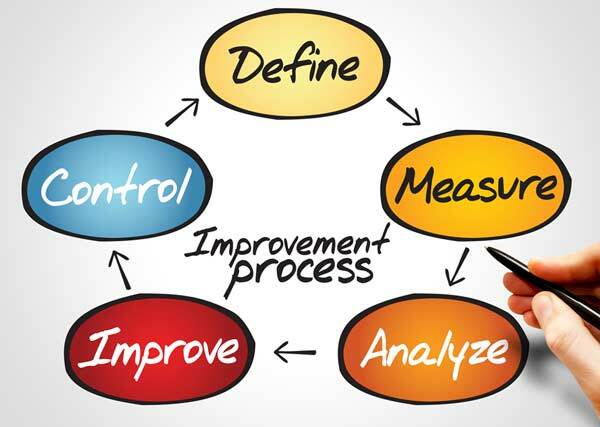 Next, Deming, known as the Father of the modern quality movement, turns to inspection and process improvement that need to be refocused to eliminate costs and risks within your manufacturing environment. It is no secret that mass inspection at the end of the process is not an effective tool for preventing defects from reaching a customer. Instead, building a proven quality production system that eliminates the need for large final inspection and reduces overall production costs, scrap and late deliveries. Building quality into the product requires an understanding of the process and eliminating variability, including elimination of operator in process adjustments that only increase overall process variation. Commonly, a focus on prevention of defects is an improvement over the focus on detection of defects but as outline in the next point, the true goal should be a focus on process improvement. Zero defects and zero complaints may be something to be proud of but the lack of a negative, does not mean that there is a strong positive in the customer perception of your product. 4. Improve constantly and forever the system of production and service, to improve quality and productivity, and thus constantly decrease costs. Linking back to point 3, just meeting customer specification is insufficient for sustainability of the company. This is how the American auto industry was overtaken, better quality products arrived to the market and they were unprepared. Constantly and forever may seem like hyperbole and some believe that diminishing returns would result from continued improvements but in the international competitive marketplace, if you do not make improvements, someone else will and they will take the markets away. Deming focuses his improvement efforts on quality which has the broader impact of improving production by removing disruptive defects. Niche industries may be most susceptible to a competitor’s innovation as their status as the only source for this product may have never dictated sustained quality improvement efforts. The key to this concept is forgetting the ‘If it isn’t broke, don’t fix it” mindset and convincing management that improvement is possible and required.